Posted on October 1, 2015 by Saurabh Agarwal. 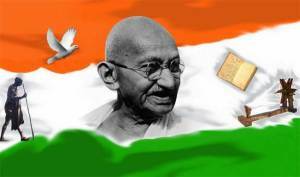 Mohandas Karamchand Gandhi (2 October 1869 – 30 January 1948) was the preeminent leader of the Indian independence movement against Britishers. Gandhi was among the most influential political leaders in the world. Employing the nonviolent, civil disobedience, Gandhiji led India to independence and inspired movements for civil rights and freedom across the world. > Father: Karamchand Gandhi, Mother: Putlibai, and was Karamchand’s fourth wife. > In May 1883, 13-year-old Mohandas was married to Kasturbai Makhanji. Mahatma Gandhi was nominated for the Nobel Peace prize 5 times- But, the committee regrets not giving him the Nobel Peace prize to this day as the award is never given posthumously. Time Magazine, the famous U.S. publication, named Mahatma Gandhi the Man of the Year in 1930. Mahatma Gandhi walked/traveled almost 18 kilometers a day throughout his lifetime which is enough to walk around the world twice over. Great Britain/England, released a stamp honoring Gandhiji, 21 years after his death. Mahatma Gandhi corresponded with a lot of people – Tolstoy, Einstein and Hitler & others. Steve Jobs (of Apple) was a huge fan of Mahatma Gandhi – his favorite round glasses are not only similar but also a tribute this Great Indian. 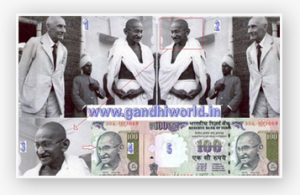 We can see in all Gandhiji on Indian currencies, Gandhiji’s facial image being printed. It was a photo shot and pictured in 1946 by an unknown photographer. In the original photo Gandhiji smiles to some person nearby. That hollow smile picture had been developed into a mirror image and then the same has been imaged in the Indian Rupee currencies. Gandhiji never travelled by Planes in his Life. Gandhiji was a Huge fan of Fotball– He helped establish 3 football clubs in Durban, Pretoria and Johannesburg all of which were given the same name: Passive Resisters Soccer Club. 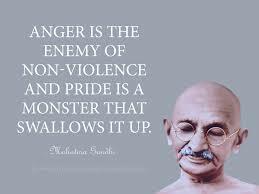 The United Nations announced October 2 as the day of International day of nonviolence. Gandhi were jailed for about 12 times in his Life. (5 in Africa & 7 in India). The funeral procession of Mahatma Gandhi was 8 kilometers long. For Gandhiji, politics, friendship and love were always closely intertwined. Gandhiji was having a strong sense of duty to society and an equally strong sense of what independent India could achieve in future.His life aims were truth, honesty, discipline, loyalty, non-violence, spiritualism, religiousness, aspiration. 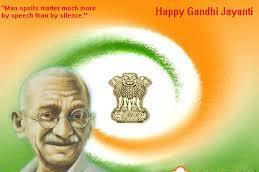 All these excellent high qualities of Gandhiji made him the Mahatma which means a great soul. His decision in favor of Socialism came about through a close relationship with Jawaharlal Nehru and other political leaders of India. He influenced the Freedom Fighter from all over India. For more updates on Interesting facts: Visit IndiaResults.com web portal.